Yesterday a historic vote in UK Parliament on the Draft Withdrawal Agreement with the EU saw Prime Minister Theresa May’s Brexit deal rejected by 230 votes – the largest defeat for a sitting government in history. To help us understand the impact this might have on the UK advertising industry and how it relates to overseas markets, the Advertising Association, Digital Marketing Association and Advertising Producers Association have released the following statements. A ‘No Deal’ Brexit is hugely concerning for the UK advertising industry – a crucial sector that contributes £132bn to British GDP. The meaningful vote result shows there is no majority support in Parliament for the Prime Minister’s Withdrawal Agreement. As such, it is important that the Government quickly comes up with a viable alternative to reduce uncertainty for business and the UK as a whole. We would rather have no-deal taken off the table, given its potentially huge disruptive nature. Falling back to WTO terms would leave the industry facing a number of non-tariff barriers as most advertising restrictions around the world are rooted in domestic regulation. Our position is that there are three essentials the Government must negotiate as a minimum for the advertising industry: continued cross-border data flows; plurality of broadcasting channels to carry cross-border advertising; and a flexible migration system that allows continued access to the best talent. UK advertising has benefitted from a virtuous circle of attracting the world’s best talent attracting more business and in turn, that attracting more talent, creating jobs for international and UK people. The UK is the world’s most internationally diverse hub for advertising, generating stellar growth in exports and a strong trade surplus in advertising services. The choices we make over the coming weeks will determine our post-Brexit success and if there is a flexible, business-friendly system we will have higher growth and stronger exports, than if we have a highly-restrictive regime, which would only benefit our international competitors. 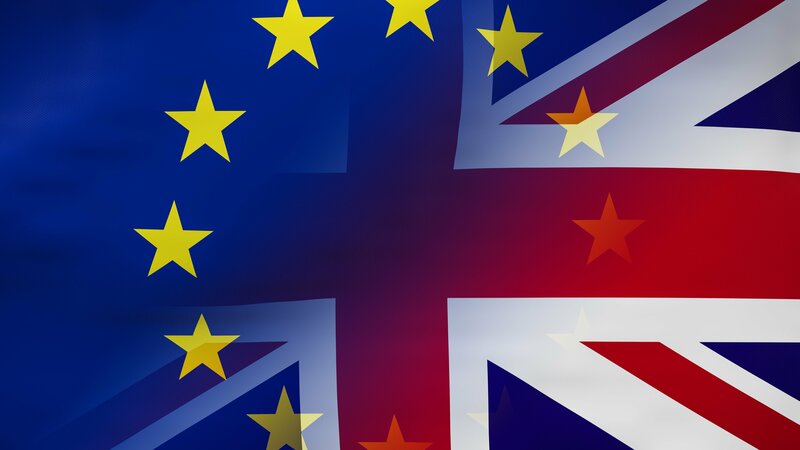 The Advertising Association will continue to advocate the best deal and outcome possible from Brexit to ensure the UK remains the world’s advertising hub. In the wake of yesterday’s no vote in Parliament, it is imperative that the Government formulate a plan B and avoid a no-deal Brexit at all costs. A no-deal Brexit would create severe uncertainty for the data and marketing sector and could potentially bring EU to UK data flows to a halt. This would have further knock-on effects on the UK public, with jobs moving to the EU and investment also decreasing. The UK needs to be granted adequacy status by the EU Commission but the process can take years to complete. Adequacy status allows personal data to be freely exchanged, just like the UK currently does as a member of the EU. There must be a transitional period for the UK to gain adequacy status and therefore prevent disruptions to the free flow of data. For example, a UK-based company that has EU customers may use an EU-based data centre, but the information is processed at the UK HQ. If the UK leaves the EU without a data deal this company would lose access to its own data, as transfers from the EU to UK would be prohibited. The company would need to find a new supplier or may move operations to the EU, so it can efficiently serve EU-based customers and not have to worry about transferring data from the EU to the UK. Therefore, it is vital that the free flow of data is maintained. We believe the UK cannot retain its position as a global leader in data, technology and marketing if we do not have an Adequacy deal on future data flows with Europe. Like the rest of the world, I have no idea what is going to happen. I should say though, in case I am a right, that I did say on the day of the referendum result that I would not be surprised if we never actually left. Our campaign focus, through the AA, has been on ensuring that the Government understands the need to access overseas talent post Brexit, which is particularly critical to our VFX members, who have become the best in the world and rely on the world’s best talent to stay there. My view now is that we should simply cancel Brexit. Much has become clearer since the referendum (even if it doesn’t feel like it). We know that there is no consensus on if or how we should leave and we know that to trade with Europe in the future we will have to accept many of their rules and have no say over them. We also know that in the short term, at least, there will be chaos and an economic downturn, with a real effect on real people, in terms of unemployment and living standards. A new referendum can’t work. It would be impossible to even agree the questions. The Government should just cancel Brexit. Some people would be fed up (actually quite a few) but it is the only responsible course for the Government to take, in my view.